This tactical thrusting dagger has a distinctive blade shape which allows for high strength and penetration. This is a strong personal defense blade. The blade is crafted from AUS-6 stainless steel, coated black, features G-10 handle scales, and includes an injection-molded nylon sheath with a clip. 4 in. overall. This is a great little blade, but the sheath seems a little loose but nothing too serious. 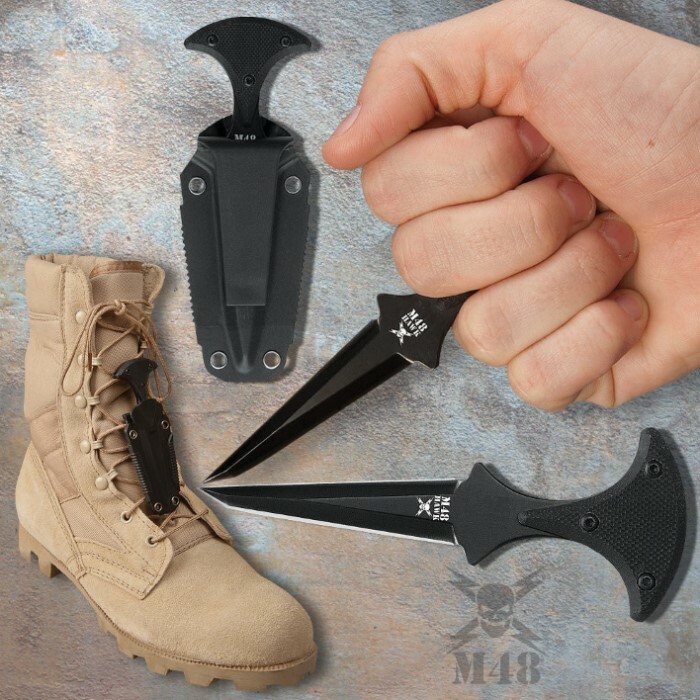 I highly recommend this push dagger. I ordered this mainly because I needed a keychain and still had a gift card left from xmas. I figured what the heck for $10 I can't go wrong. First off this is a spike, not a cutting instrument. There is no edge to speak of but the point is strong and very sharp. For its size the handle fits well in the hand. This is great for a last ditch SD weapon and an awesome keychain, I'm pleased. pretty good little blade. it is decently sharp, sturdy and comfortable. i am not blown away but neither was i expecting to be. definitely a good buy though! I am a runner and use this tucked into my knee brace VIA the hook on the back of the sheath,I hardly know its there.Its well made,serves its purpose and is lightweight. 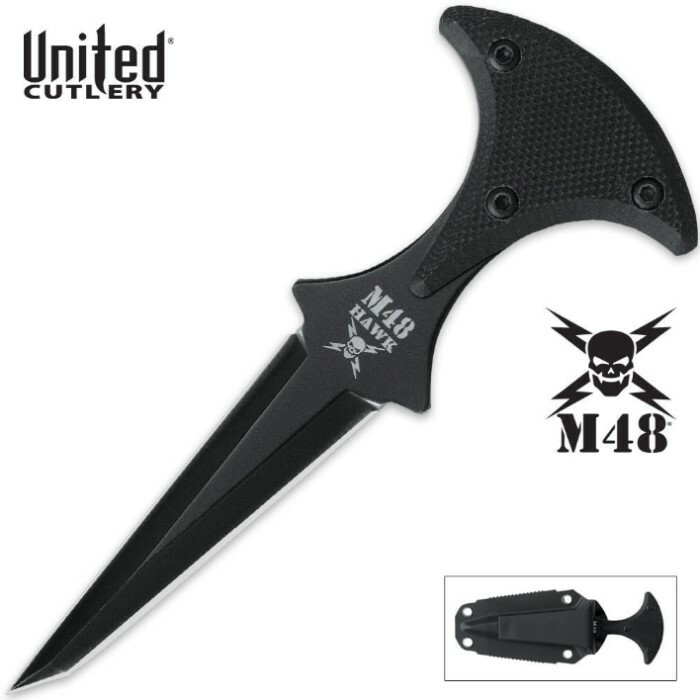 The only drawback is that it is flat on one side,and at an angle on the other,meaning you will never get this thing really sharp.However its a dagger and not really meant for that I suppose.Looks good,well made and will do its job when needed....What else can you ask for at this price?? ?